After months of foundation training of the contact obstacles Jet made her first real dogwalk training yesterday. 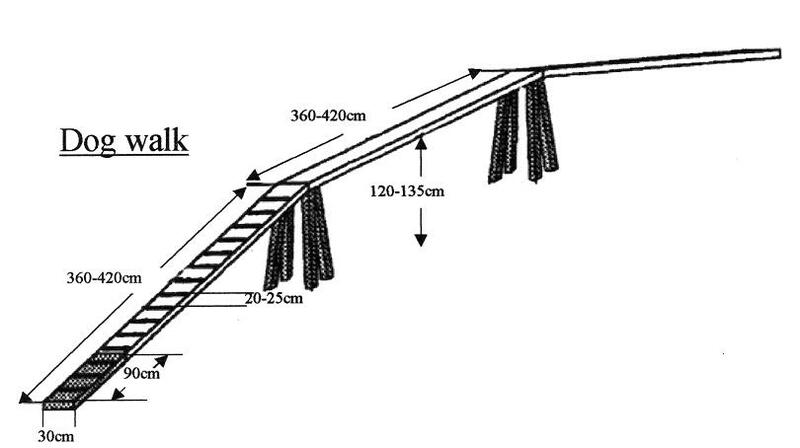 As an introduction we lowered the dagwalk’s hight as much as we could to make her feel relaxed and confortable while walking (running) on it. Jet was surprisingly eased and self-confident during the practice. It seemed it was the most natural thing for her to run on a 30 cm wide plank in about 60 cm hight. I was glad and surprised to see this level of ease though I have already observed how agile is Jet, she showed me many times that she is highly aware of her body. 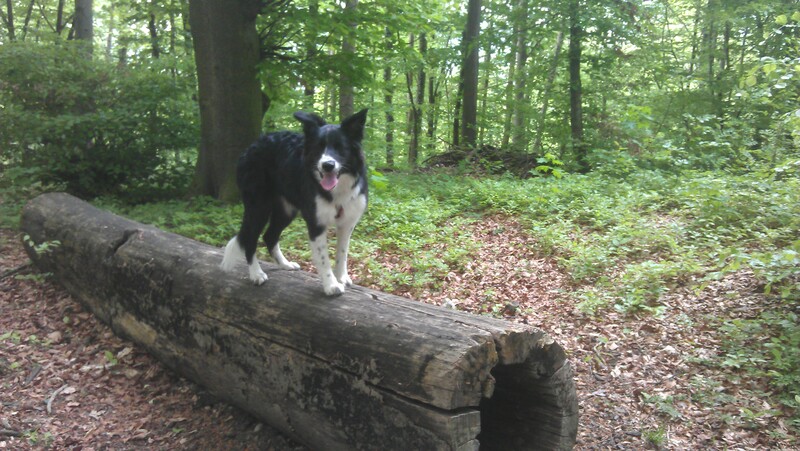 On our daily walks in the woods I always take the opportunity to put her into phisically challenging situations (of course with considering her actual age and abilities, keeping safety on the first place). Jumping up on to benches an walk on it, jumping up to tree tunks, running up and down on steep hillside helped to develop her self-confidence, body awareness, strength and balance when moving. Our walking path often leads through narrow bridges over mountain creeks and Jet has never had a hesitation in her mind to go over it, not even when she carried heavy and thick wooden stick in her mouth (she always finds a stick to carry on our walks 🙂 ). She often makes her “performance” on the bridge – taking me close to heart attack – with stick in her mouth she goes forward but in the middle of the bridge she turns back watching if I am coming or not, or what… Then turns forward again and walks through the bridge when she finds the situation ok. High above the ground, on a bridge that has no handrail (or only on one side) it is not really funny to watch such a thing. At first I was quite worried for my dog but later I realised that moving in the nature is really in her blood. Well, yes, at the end of the day she is a dog, so I should not be surprised about that… Still , she amazes me times to times. So with all this preparation we had a great time yesterday, I saw a dog eager to run through a dogwalk with a lot of enthusiasm and joy. I love to see that. I know we are on a good way. Tigi VB – és EO válogatott lett!